Mary Laube received an M.F.A. from the University of Iowa and a B.F.A. from Illinois State University. Laube’s work has been included in various group and solo exhibitions across the U.S. 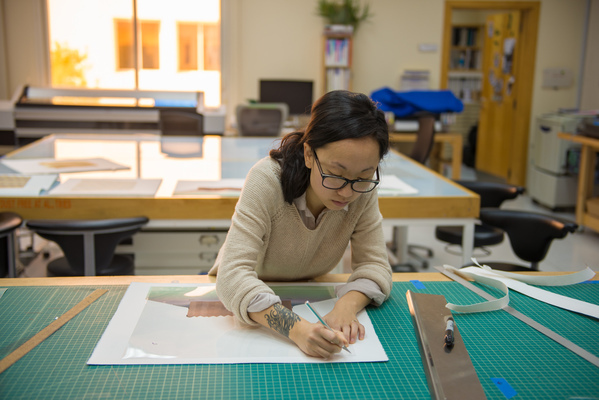 Her work has been supported by several artist residencies including the Virginia Center for the Creative Arts and the Vermont Studio center. She received the Illinois National Women in the Arts Award (Chicago) in 2009 and a Project Grant from the Iowa Arts Council, a division of the Iowa Department of Cultural Affairs and the National Endowment for the Arts in 2014. Her paintings have been featured in New American Paintings and her writing was recently published in Kapsula Magazine (Toronto). Mary currently teaches at the University of Tennessee Chattanooga.